Note: This article is a wrap up of The Starter’s Guide to Process Automation. You can get your free copy by clicking the link below. The best companies use process automation to be more effective and efficient, and those that are not, are wasting time and effort. The basics of process automation. 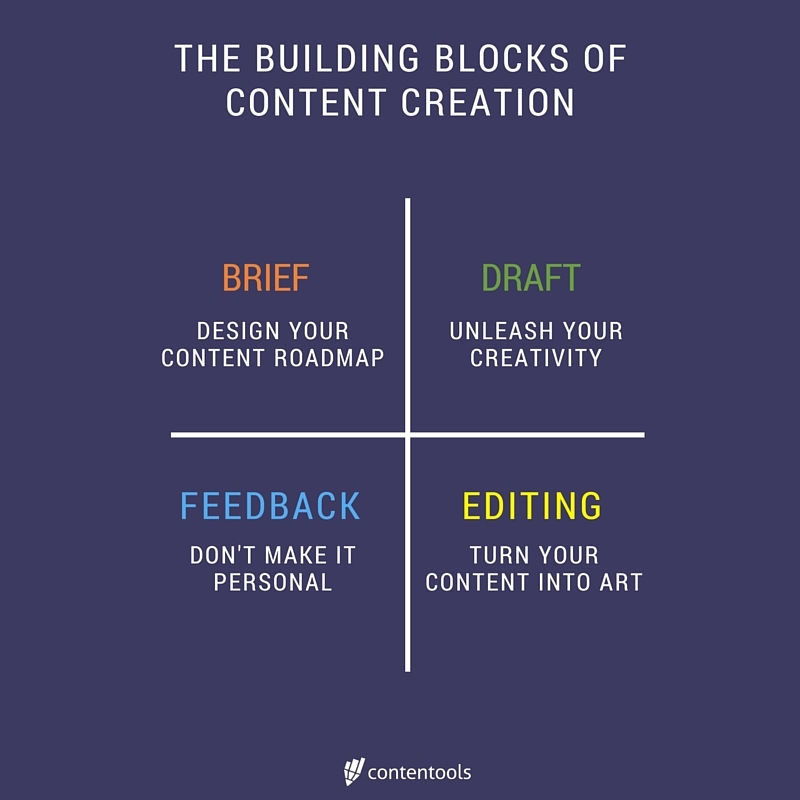 Bonus: read till the end to discover the 4-step framework to create any kind of content. When talking about processes the tendency is to overcomplicate things, associating them to the corporate world. Reality is companies and teams of any size operate using process. Every time a sales reps closes a deal, a customer success rep makes an upsell or when you write and publish a blog post, there’s a process in place. And to make sure those processes are optimized and effective, they should be mapped out. Process mapping is not rocket science. All you need is pen and paper, and you can get it done following this simple framework. Step 1 – Define Your Goals: processes should always be result oriented, so the first thing you need to ask is: what are we trying to accomplish? Step 2 – Spot The Trigger: what’s the event that “activates” the process? Step 3 – Define Key Activities: anything that happens between the trigger and the goal, keep it high level. Your first draft could look something like this. Step 4 – Get into details: deep dive into the process details, defining activities, responsible and timeframes. Step 5 – Make it sharable: once you have all you need, turn it into something you can share with your team. You can use presentations, diagrams or process management software. You can learn more about mapping your processes in The Starter’s Guide To Process Automation. Get your free copy by clicking the link below. Automating your processes can help you increase your organization’s efficiency and effectiveness. All you need to do is pick the right software, and this section will provide you with some guidelines to help you. Generic automation software: help you automate the workflow management (notifications, reminders). Vertical automation software: help you automate the execution of the tasks themselves (email nurturing, content distribution, follow ups). So, which category should you start looking into? There’s no “one-size-fits-all” answer, since it heavily depends on the stage your organization is at. As a rule of thumb: the more advanced your organisation is and the more complex the process is, the more specialised (vertical) the software should be. while a startup, just starting with content marketing (2/3 people – low volume) should go with a process management software (cheaper and multifunctional) a business with relevant content marketing operations (4/5 people – 3/5 pieces of content per week) should definitely look for a content marketing software (helps organize, create and distribute content). Keep in mind that process management and “vertical” automation software are not alternative but complementary, since the former can always help you to organize and automate “horizontal” processes, that involve multiple areas. To help you start your search, we put together a list with 12 of our favourite software for: content marketing, process management, marketing automation and customer relationship. You can find it in the Starter’s Guide to Process Automation. Get your free copy by clicking the link below. Working with dozens of content producers (agencies, businesses, media company) we identified a simple process you can use to create any kind of content. Brief, draft, feedback and editing: of course each content type will require specific activities and skills, but follow these 4 steps and everything will get much easier. Step 1 – The Brief: the brief is the roadmap for your process, containing information about what the content is about, why it matters to your audience, benchmarks and resources to use for content creation and so on. Step 2 – The Draft: this is where you give a first your at your content. This phase should be all about creativity and you should focus on finding a unique and original way to convey the message framed in the brief. Step 3 – Feedback: feedback sessions make sure thinks are on track, allowing ou to correct mistakes as they happen and prevent rework. Ideally, you should run a feedback session when the task at hand is 50% completed. Step 4 – Editing: this phase is about smoothening the rough edges and come up with the final piece of content. Namely, here’s where you cut, copyedit and refine. Also, whatever content you are producing, edit it with distribution in mind. Download the Starter’s Guide to Process Automation to learn more about what should go in a brief, how to write a first draft, how to run a feedback session and the key activities of the editing phase. Click the link below to get your free copy. and I think we can all agree that processes are everywhere and can help us do more with less. Up to you now: what processes does your company have in place and what software do you use to organize, streamline and automate them? 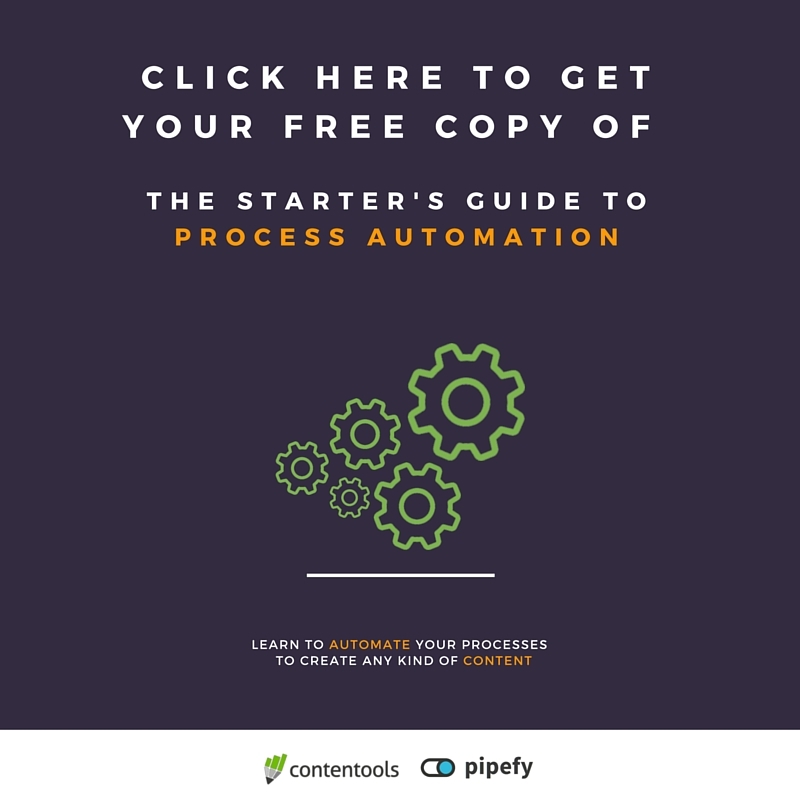 To learn more about process automation, download the Starter’s Guide to Process automation. Get your free copy by clicking the link below. Previous ArticleArtificial Intelligence in MKT: 5 tools at hand now!Next ArticleMedium: What is it? What is it for? How can I use it for my Business?